The English batsman said that they didn't rule out India from the series after taking a 2-0 lead and will fight hard on day three to make a comeback in this Test. A file image of England batsman Jos Buttler. England batsman Jos Buttler has lamented that they should have done better after being placed at 54 for no loss at one point of the third Test against India here. Hardik Pandya took 5-28 as England were bowled out for 161 runs, conceding a 168-run lead that swelled up to 292 runs at stumps on day two. "It's very disappointing after a really good start to the day as well, picking up those early wickets and being 50 for none. We let that slip. It's important we can recognise why it's happened, and improve," said Buttler yesterday. "It's been tough for the batsmen (at times) throughout this series. When we've got that momentum, when we've been bowling, it felt like we were going to take a wicket every ball. "It comes down to how can you wrestle back the initiative maybe with a counter-attacking style or someone trying to sit in and be a bit of a limpet for an hour and ride that session out. But obviously, we weren't good enough to do that today," he added. Buttler said that the key is to not repeat mistakes in the second innings if England are to improve their showing. "It comes down to the guys working hard, being disciplined, practice, all of the above. It's hard, it's not easy it's not meant to be easy. Test cricket tests individuals and teams in tough ways. It takes a lot of character for us to come back from tough situations like this. "Guys have got to improve. We know that as a side - to get to where we want to go, we need to eradicate these collapses. The key is trying not to make the same mistakes. You can't keep doing the same thing over and over again, whether that's as an individual or as a team. "We know in England conditions can be tough favourable for swing bowling. Credit to India, I thought they bowled really well and got the ball moving around, and we weren't good enough to deal with that today." The batsman said that they didn't rule out India from the series after taking a 2-0 lead and will fight hard on day three to make a comeback in this Test. "India were ever going to go anywhere. They're the number one ranked side in the world and they're there for a reason. It was always going to be a competitive series. Just because they were 2-0 down I don't think we could have taken anything lightly. We probably didn't quite hit our straps as well as we would have liked the first morning with the ball as well. "Winning the toss brings pressure to take wickets and we didn't quite execute as well as we would have liked. 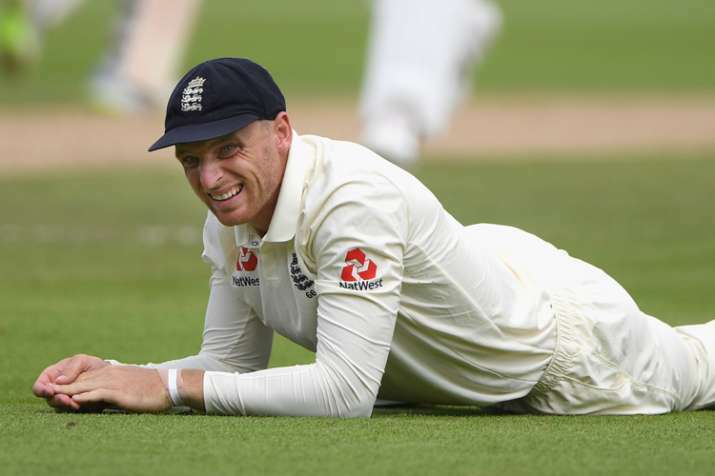 I think it's always going to be a competitive series against the number one team in the world so they were always going to come back strongly," said Buttler. "It looks like, when one side has that momentum, it seems hard to wrestle back. It's hard for sides to get back into games. Yes, of course otherwise there's no point turning up. I think any professional sportsman takes pride in playing for their country and we'll turn up tomorrow and we'll be fighting hard," he said.